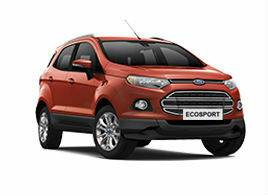 15 March 2019 - "The new Rangers, have definitely moved the goalposts insofar as the lifestyle pick-up truck market is concerned, not only are they still very much “Built Ford Tough” but they now also offer an incredible level of refinement unheard of in Rangers of yore." 12 March 2019 - "Like a rockstar capping a stellar performance with an encore of hit songs at the end of a concert, the Ford Ranger Raptor is the icing on the cake for the existence of pick-ups, in Malaysia at least." 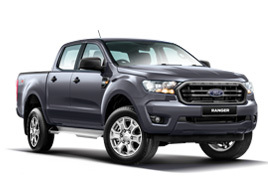 24 February 2019 - "The Ford Ranger XLT+ actually shows you how much progress has been made on pickup trucks. 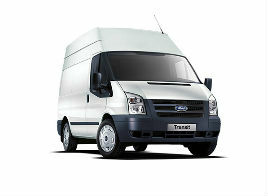 These vehicles may have rudimentary ladder frame chassis but with the latest in technology and equipment." 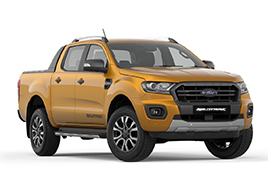 13 February 2019 - "There are pick-up trucks, and then there’s the Ford Ranger – the pick-up that constantly redefines what trucks are capable of, both in the wild and within the confines of the urban jungle. 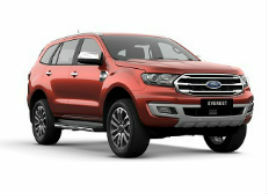 In the new and updated Ranger XLT+, Ford is once again leading from the front with class-leading features that no other pick-ups can lay claim to." 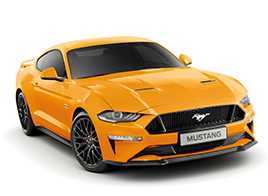 01 February 2019 - "It’s been a while, but the Ranger now comes with the latest 2-litre diesel Panther engines with VGT/single- and bi-turbo power. 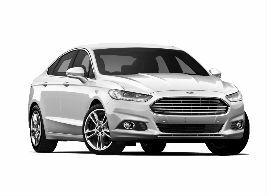 Yes, the previous 2.2-litre turbodiesels are also in service, but you’ll lose out on the performance and efficiency gains..."
08 January 2019 - "For a growing population of owners, a truck is a lifestyle statement, with its commanding size, macho styling, and day-to-day usability. Dollar-for-dollar, not much comes close when one needs to assert dominance on the roads." 16 December 2018 - "Until this new Ranger truck arrived a few months ago, you could not buy a 2WD pickup truck with an automatic gearbox in Malaysia. Yes, this is a fact... But what about housewife’s, men who have boring office jobs, working mothers and small city run business owners who just want a pickup truck to run in heavy city traffic…..without the need to go off-road at all?" 14 December 2018 - "The Ranger XLT+ is the best value-for-money Ranger you can buy today. The Wildtrak and Raptor models do add value in their own way, but you’re getting a Panther engine, a 10-speed gearbox, 4 wheel drive, leather seats, and the essential Ranger experience for a LOT less money." 03 December 2018 - "After a short hiatus, the highly competitive pickup truck segment is back in full swing once again, both locally and globally." 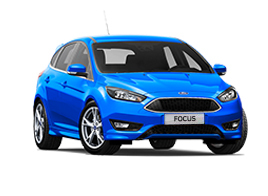 24 November 2018 - "After keeping us waiting for a really long time, Ford finally brought the much-awaited pickup truck at KLIMS 2018. Just reading about the features of this new pickup truck made us go weak in the knees, and now that it is actually here in flesh, we are so impatient to get our hands on it. But until that happens, here is our first impression of the brand-new Ford Ranger Raptor." 07 November 2018 - "The Ford Ranger T6 may be a good six years old now, but the Blue Oval pick-up truck is still going strong... How better, then, to elucidate the various changes than with a good ol’ new versus old gallery?" 30 October 2018 - "The new Ranger WildTrak 4x2 performs admirably well. 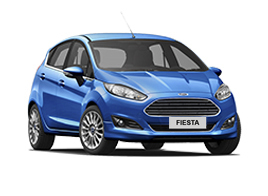 At over the highway speed limit, it tracks the road nicely and feels stable at high speeds. 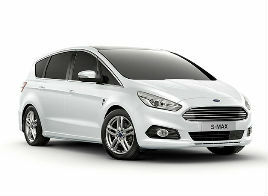 You can still drive it without any white knuckles or sweat 30-40kmh over the speed limit and it feels planted." 30 October 2018 - "Things are shifting for sure, and like how SUVs went from being purely off-road vehicles, to now the main mode of transport executives to travel from place to another in the city, the pick-up truck is evolving into lifestyle items catering well-to-do people doing outdoors-ey things. 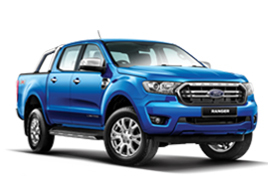 The Ford Ranger has a tough and dominant appearance, yet stylish enough not be seen like fish out of water in the urban landscape." 26 October 2018 - "SDAC has launched eight variants of the updated Ford Ranger, and there’s a Ranger for each kind of lifestyle." 25 October 2018 - "SDAC has officially launched the 2019 Ford Ranger facelift range in Malaysia – it’s the second refresh for the T6, and this revision looks to be more comprehensive, introducing a new powertrain and transmission as part of its package update." 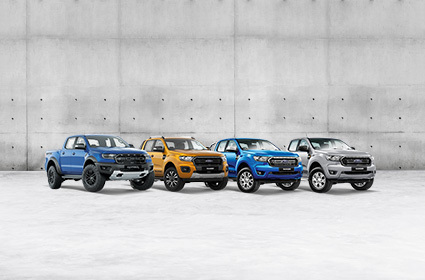 25 October 2018 - "After what seems like a long time of silence, Ford Malaysia is finally rumbling with the release of nine different Ford Rangers, ranging from XL, XLT, XLT+, Wildtrak and the steroid-pumped Ranger Raptor... And, no matter which variant you choose to run with, the Ranger remains one of the more striking trucks on the road. " 25 October 2018 - "SDAC has just officially unveiled the updated Ford Ranger here at Setia City Convention Centre. Changes to the new pick-up truck run skin deep, with minimal cosmetic enhancements but gains many first-in-class technology and features." 25 October 2018 - "SDAC, the authorised distributor of Ford vehicles in Malaysia lauched the new Ford Ranger earlier today. A total of 9 variants will be available." 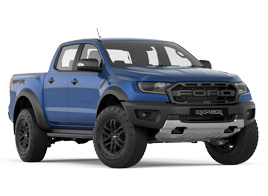 03 August 2018 - "The first ever Ford Ranger Raptor is a culmination of work spanning no less than four years in the making, a vehicle that’s developed with one purpose in mind – to be the ultimate, all-terrain compact pick-up truck on offer." 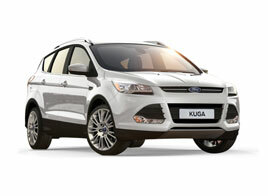 "Since the Courier of the 1990s, Ford has habitually raised the bar for pick-ups. The latest Ranger shows that the Blue Oval continues to possess that magic touch."